There are many smart home myths revolving around installation and automation. So, we’re here to debunk them! Since anything is possible with home automation, it is entirely possible to invest a lot of dough. However, a large initial investment is not required. Smart Homes, Inc. offers minimalist options that can have you up and running with a solution for roughly what it would cost to install a new TV setup. You can then enhance your system at any time, or as your needs and budget allow. No matter what type of technology you’re using —smartphone, cable box, computer— it doesn’t take long before its operating system or hardware is outdated. The same isn’t exactly true for home automation systems. For Smart Home controllers, updates are a natural part of its operation; keeping you and your home up to date with the latest software available. As manufacturers continue to upgrade and refine the features and capabilities of their systems, firmware can usually be easily updated remotely, ensuring the automation system you buy today will be fresh and relevant for years to come. Some people worry that an automation system is too automated. What they mean is that the system rules the house rather than the people who live in it. While an automation system has the smarts and power to dictate the operation of nearly every electronic device in your house, most are designed to put the power of control in the hands of the homeowner. With an automation system, you are in total control of what happens in and around your home. What happens when a home automation system locks up or goes offline? Will you be unable to work the lights and thermostats? 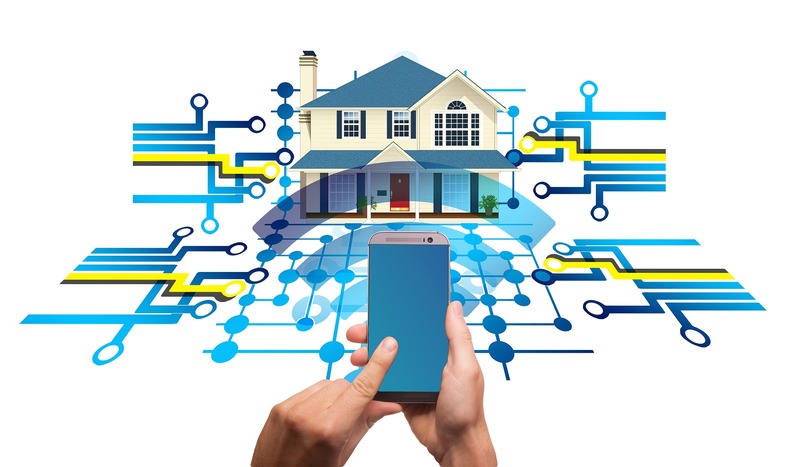 Thanks to failsafe measures implemented by Smart Homes, Inc., the devices in your home remain operational even if the automation system experiences a glitch. Usually, automation problems are minor, requiring a reboot of the system, which can be handled by us remotely. This myth is only true for off-the-shelf products found at big box stores. Our automation solutions offer many various ways to control all aspects of your smart home. From voice control such as Amazon’s Alexa, dedicated switches, wall panels, and remote controls, there are endless ways to control every aspect of your home. Not to mention a central smartphone app that can do it all — no more switching between apps! Just like programming a new, cumbersome thermostat, it’s easier for most to have a tech-savvy friend do it for you. Just a few years ago, making changes to Smart Home settings wasn’t trivial, and we would have agreed with this myth. However, the software to alter Smart Home programming is easier than ever! With Control4’s 4Sight service, using the WHEN >> THEN programming logic is completely painless. Ask us to see a demo! Please stop by and check out our showroom!